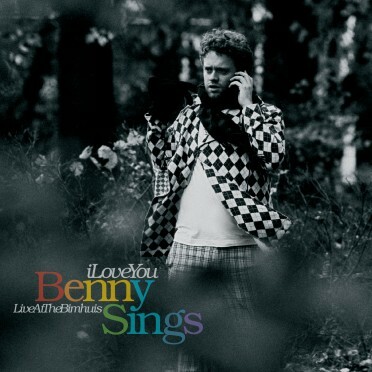 With the release of I Love You – Live at the Bimhuis (SK051CD) by BENNY SINGS in spring 2005 on Sonar Kollektiv, the label saw an especially important release in its catalogue for various reasons.For one thing the Dutchman BENNY SINGS is a gifted songwriter and performer, for another the release came at just the right time. No three months prior to the release of I Love You – Live at the Bimhuis, the first Secret-Love compilation (SK042CD) by JAZZANOVA and RESOUL first saw the light of day; and then a solo artist album came out which perfectly solidified the concept behind Secret Love and showed that Sonar Kollektiv, which had previously been known above all as a cutting edge label in the field of club music, was absolutely serious about promoting songwriting and so added another facet to the labels portfolio. I Love You – Live at the Bimhuis was exactly that: a concise collection of no-frills jazz-pop songs presented in a sunny west coast easy-listening vibe reminiscent of BURT BACHARACH, SUPERTRAMP or even STEELY DAN. It probably took a young Dutchman with a background in hip hop to tackle this kind of song-writing without the hippie-esque retroism; with all its unpretentious directness the album sounds extremely modern. And the unmistakable voice of multi-instrumentalist BENNY SINGS was certainly one reason for the albums success – he commands a loose, casual and almost naively uncommercial vocal style which really serves the stories his songs tell. He is refreshingly free from any kind of artistic vanity or self-flattery which only ever blurs what’s at the heart of the music anyway. I Love You was already the second album by the Dutchman, and his debut work, Champagne People (SK052CD) was also brought out by Sonar Kollektiv in autumn 2005 – before then it had only been available outside Holland as limited release exclusively on vinyl via Rush hour/Kindred Spirits. In some way BENNY SINGS really is returning home with his new album Album Benny …at home. For the acoustic instrumentation that dominated I Love You now Benny ..at home takes back seat to a much more urban sound. Still present is the light hearted and seeming effortless way BENNY SINGS presents his compositions. 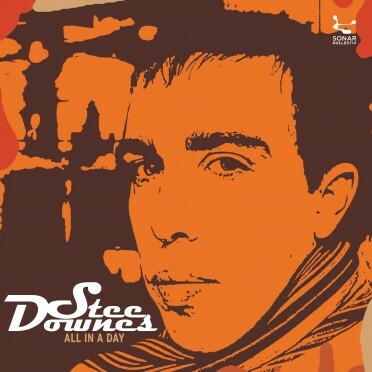 The tracks are built on solid foundations of tight back-beats and bouncy grooves – the Dutchman, who is originally a bassist, seems to have remebered his hip hop roots. This meticulous transformation of the sound proves again that BENNY SINGS and his producer BART SUÈR (incidentally, with whom JAZZANOVA once played with at the North Sea Jazz Festival) are way ahead of the times. Retro alone is no longer enough which is why the folk renaissance in 2007 has already far too much become part of the mainstream. Which is why SINGS and SUÈR place the emphasis on a much more urban aesthetic in order to create a bridge between genres and so avoid any obvious repetition of what’s gone before – instead they place an accent on the future. Once again they have managed with the supercool understatement that only those who are completely confident doing what they do to produce with Benny …at home a perfect symbiosis between originality and a commercially viable product. It is nothing less than that all too seldom reached goal: sublime pop music, which is at one and the same time accessible and yet never superficial.